Japan Airlines Set to Launch First NFC Boarding Passes in October | NFC Times – Near Field Communication and all contactless technology. 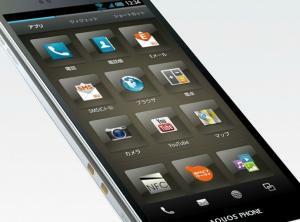 Japan Airlines next month plans to launch what is believed to be the first boarding pass service on standard NFC phones. One of at least two handsets supporting the service is a model from Japan-based Sharp Electronics, which supports both NFC and domestic FeliCa technology. Japan Airlines next month is expected to launch what is believed to be the first commercial service worldwide enabling passengers to tap standard NFC phones to pass through boarding gates, NFC Times has learned. Japan Airlines, or JAL, has offered contactless-mobile boarding passes since 2005, using Japan’s NFC-like domestic technology, FeliCa. Rival All Nippon Airways also offers FeliCa-based service. The JAL Touch & Go NFC service would be available on only two NFC-enabled phones at first, including Samsung's Galaxy S II. Article has about 650 words.